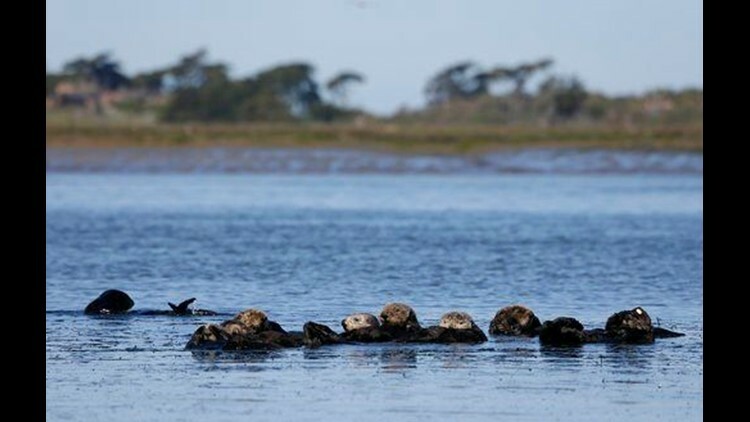 MOSS LANDING, Calif. (AP) — While threatened southern sea otters bob and sun in the gentle waves of this central California estuary, wildlife experts up and down the West Coast are struggling to figure out how to restore the crucial coastal predator to an undersea world that's falling apart in their absence. On this morning, male sea otters clasp paws with one another for stability in the water as they snooze together and warm their bellies in the spring sun. Deeper into the waterway, female otters float with their young perched on their chests, or with newborn otters — even more buoyant than adults thanks to their thick fur — bobbing alongside them like corks. After supporting wolf extermination in Yellowstone in the first half of the 20th century, for example, the U.S. government by the second half was aiding wolves' reintroduction to the national park. The wolves' hunting have cut what were too-large herds of deer and elk. The result has been a rebound at Yellowstone for all kinds of life — beavers, fish, even aspen trees, some ecologists say.